Melody L. A. LeHew received her bachelor's and master's degrees in textile and clothing from The Ohio State University and her doctorate in retail and consumer science from the University of Tennessee, Knoxville. Her scholarship program focuses on sustainable strategies in soft goods production, distribution and consumption as well as infusing sustainability competencies in textile and apparel education. 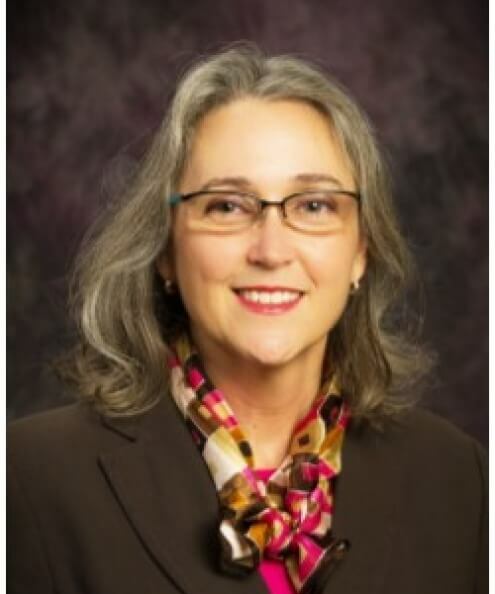 LeHew has experience teaching consumer behavior, fashion theory, retail management, marketing and business strategy, and she is an affiliated faculty member of the Kansas State University women's studies program. She has received external research funding from U.S. Department of Agriculture National Institute of Food and Agriculture Higher Education Challenge grants (3 awards) and the International Council of Shopping Centers (2 awards). Her work is also supported by the Kansas Agricultural Experiment Station. She values shared governance and the philosophy of servant leadership, as reflected by her seven years of service as a faculty senator, which culminated in being elected and serving as president of KSU Faculty Senate. She served as the interim department head 2014-2016 for the KSU Department of Hospitality Management and Dietetics as it transitioned to be the Department of Hospitality Management with the dietetics program moving to another department.